Confused of How to Reach Gangehi Island Resort? 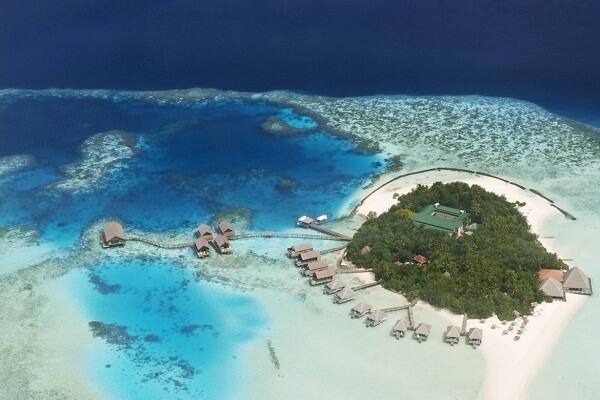 Our guide will help you with all the possible answers to reach this magical beauty of Maldives. You have taken the right decision of traveling to this place for various reasons. Privacy, comfort, and experience are the three things guaranteed to you on your journey to Gangehi Island Resort. Find out the various ways to commute to this island through our guide and get in touch with the staff of the resort for any queries and concerns. 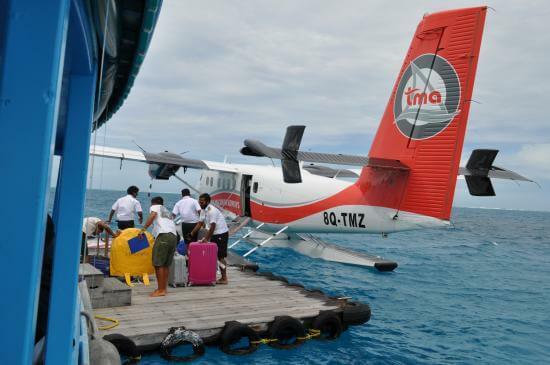 Take a seaplane transfer once you reach the Male International Airport. The property is accessible only by a seaplane. Seaplane journey takes about 25 minutes to reach. It would be wise to inform the hotel staff about your arrival and departure at least 72 hours prior to the journey so that they are prepared for your arrival. Gangehi Island Resort Airport Transfer for a round trip will cost you USD 435 for an adult and USD 220 for a child inclusive of all taxes. For children less than 2 years, the seaplane trip is complimentary. Daily transfers operate between 9 AM and 3:30 PM. 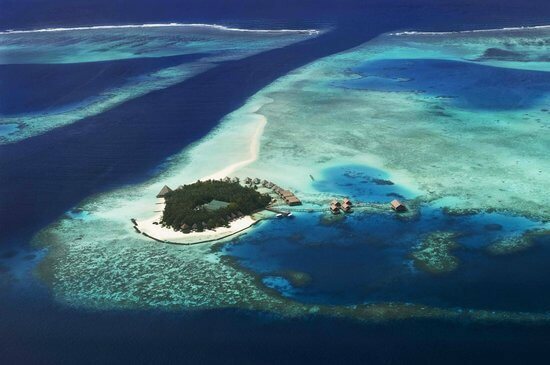 Speedboats are not available considering the Distance between Gangehi Island Resort and Male International Airport. Get in touch with the property staff to know more on the travel options and they will guide you through. Enjoy a delicious gala dinner at just USD 100 per adult and USD 50 per child per day. Choose from a range of multi-cuisines and experience the taste of Maldives. Enjoy a well-equipped gym, diving center, and access to the volleyball beach. The property also has a library with oodles of books for avid readers. 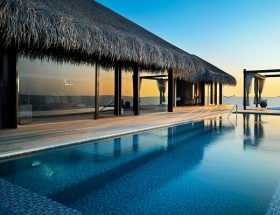 The villas have their private pools, beauty of coral reefs, hot and cold shower bathrooms, private terrace and deck. Rejuvenate yourself at their Ginger Spa where Ayurvedic massages take place. 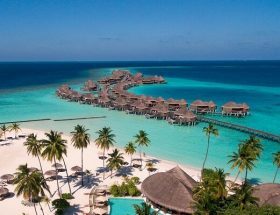 The resort is amongst the rare beauty in Maldives that offers you panoramic views, clear beachfront, amazing food, and complete privacy. 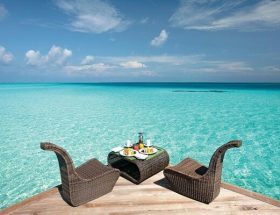 Don’t miss this chance of celebrating your holidays with the magic of Maldives. Make your reservations now. Read Also: Are Overwater Bungalows Even Worth It? Is Overwater Villas Really Worth It? Article first published on December 28, 2018.